The Marsh, which is owned by Christchurch Council, is a Site of Special Scientific Interest (SSSI). It attracts thousands of people a year and therefore requires verycareful management, it was with this in mind that Pat Woodward and Peter Holloway decided to start a support group to arrange adequate funding to help to manage the Marsh. 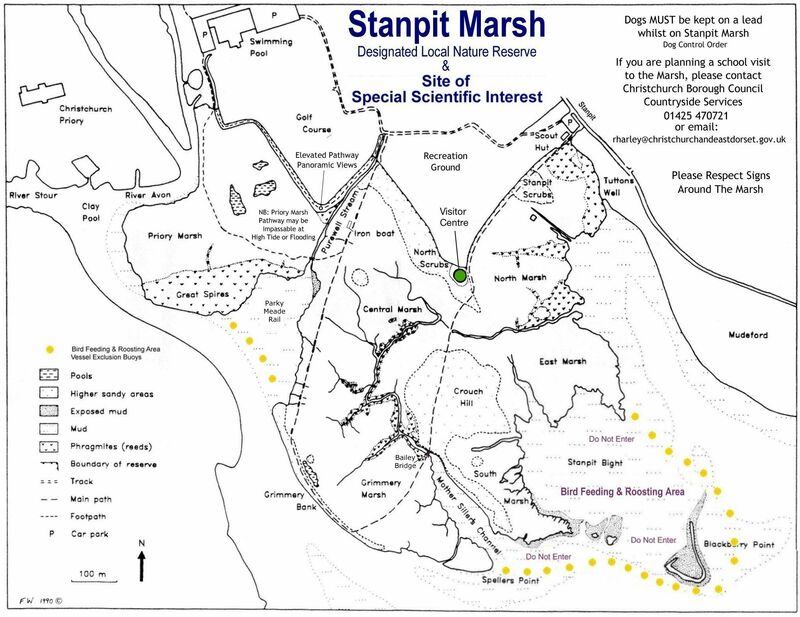 A meeting took place in a local pub which rallied twenty supporters and The Friends of Stanpit Marsh was born. This was in 1983 and now today our membership stands at well over four hundred. You can scan through a timeline of the Marsh and FOSM&apos;s relationship. Over these years we have raised a substantial amount of money with many regular events such as garden parties, bring and buy stalls, car boot sales, evening socials, coffee mornings, walks and quizzes. See our FOSM Activities Gallery.. This money has enabled us to give a very substantial donation towards the building of the Visitor Centre, as well as helping towards funding a Summer Warden, which we always considered a priority. We also help financially with other projects associated with the centre. So, the Marsh now has a Centre that informs and facilitates education of the many visitors, about the variety of wildlife that can be found on the Marsh. We sincerely hope that they all will respect the fragility of the marsh environment, but cherish & remember their visits. We are very keen to encourage new members to our friendly association, please see the section ‘About Membership of FOSM’. All members receive an Information Leaflet on joining, and three Newsletters and Programme of Events a year. The Friends is a very strong support group with a committee that holds regular meetings which involve a great amount of discussion about the welfare of the Marsh. All of us have a great love of this area and take a very keen interest in its wellbeing. Our aim is to continue with our fund-raising, as money will always be needed to help maintain the Marsh and the Visitor Centre. Items Funded by FOSM, see the Visitor Centre section. Exhibitions : The Friends have presented two exhibitions in the Red House Museum on the history and ecology of the Marsh. Website : FOSM have set up this website including galleries of wildlife, to raise awareness of the ecology of the Marsh and The Friends. Widening interest in the Marsh : The Friends take an active part in local events promoting conservation and related issues. A number of wildlife walks are arranged throughout the year. If you would like a printable version of the map below, just Click on this Link.